HSSC has announced dates for Admit Card and Exams of Sub Inspector and Constable. 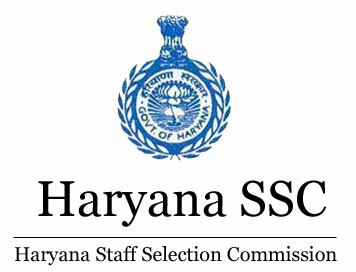 Haryana Public Service Commission has announced Admit Card and Exam date for Constable and Sub-Inspector in state police and Indian Reserve Battalions of Haryana State. HSSC will recruit 7110 post with this recruitment process. As per latest notice released by HSSC, Exams is scheduled to be held from December 2 to 30, 2018,. That is, December 2, 2018 (Sunday), December 23, 2018 (Sunday) and December 30, 2018 (Sunday), from 10.30 A.M to 12.00 Noon (Morning Session) and 3.00 P.M. to 4.30 P.M. (Evening Session) at various districts of Haryana state. The HSSC admit card for these exams will be released in November and December. HSSC will hold Optical Mark Recognition (OMR Sheets based) written exam for the post of Sub Inspector (Male), Sub Inspector (Female), Male Constable (General Duty), Female Constable (General Duty) and Male Constable (GD) in Indian Reserve Battalions of Haryana State in December. All candidates shall have to undergo test of eighty (80) marks comprising of objective type, multiple choice questions. The Knowledge Test for HSSC SI and Constable recruitment will be of the objective type having hundred (100) multiple choice questions of 0.80 marks each and test shall be of ninety (90) minutes duration. While each comet answer will get 0.8 marks, there will be no negative marking for wrong answers. It shall (b) The Knowledge Test shall be of the objective type having hundred (100) multiple choice questions of 0.80 marks each and test shall be of ninety (90) minutes duration. While each correct answer will get 0.8 marks, there will be no negative marking for wrong answers. It will be held simultaneously for all candidates, wherever possible. The medium of examination will be bilingual i.e. both in English as well as Hindi. The test paper will include questions on General studies, General Science, Current affairs, General Reasoning, Mental Aptitude, Numerical ability, Agriculture, Animal husbandry, other relevant fields/trades etc. There will be at least (10) questions relating to basic knowledge of computer. The standard of questions will be as expected of an educated person having passed 10+2 examinations of Board of School Education Haryana for the post of Constable and have graduated from a recognized University for the post of Sub-Inspector, said a statement from HSSC. However, the persons who possess the educational qualifications as per the Punjab Police Rules will also be eligible.